How to check ATAL PENSION YOJANA Statement online? You are here: Home / Fixed Income (Bank FDs,RDs,PF etc) / How to view Atal Pension Yojana Transaction Statement online? How to view Atal Pension Yojana Transaction Statement online? During 2015, the Central Government has launched three JAN SURAKSHA schemes namely Atal Pension Yojana (APY), Pradhan Mantri Jeevan Jyoti Bima Yojana (PMJJBY) and Pradhan Mantri Suraksha Bima Yojana (PMSBY). PMJJBY and PMSBY are insurance related schemes, whereas APY is a pension scheme for citizens of India, primarily focused on the unorganized sector workers. Under the APY scheme, a guaranteed minimum pension of Rs. 1,000/-, 2,000/-, 3,000/-, 4,000 and 5,000/- per month will be given at the age of 60 years depending on the contributions made by the subscribers. In case of death of the subscriber, pension amount will be given to the spouse, and on the death of both (subscriber & spouse), the accumulated pension corpus would be returned to the subscriber’s nominee. The scheme falls under Exempt-Exempt-Exempt tax category. There are tax benefits at entry (u/s 80CCD), accumulation and pension payment phases. As per the latest reports, there are currently more than 45 lakh subscribers registered in the Scheme. About 10,000 to 15,000 APY subscribers are getting enrolled into the Scheme every day. As of now, there is no online provision to view Atal Pension Yojana Statement. 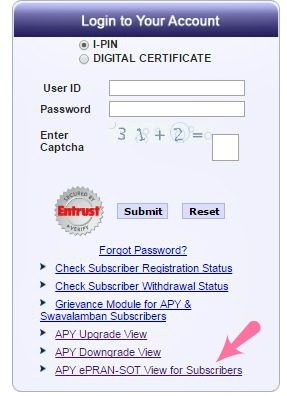 Also, there is no facility to view details related to APY account online. You only get physical statements from NSDL periodically. How to get Atal Pension Yojana Statement details online? Click on the below image. If you know your PRAN number, you can select ‘Click to search with PRAN’ option, else select ‘click to search without PRAN’ option. If you search based on your PRAN, you have to provide your PRAN and Bank account number. 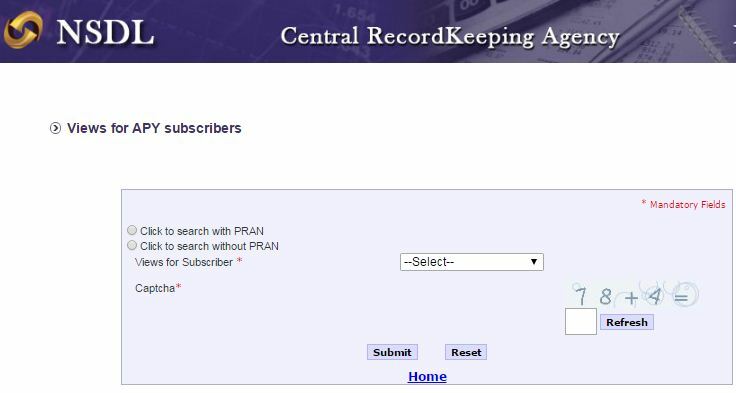 If you do not have your PRAN number, select option ‘click to search without PRAN’ and provide details like Subscriber name, Bank account number and your Date of Birth. The available views for subscribers are ‘e-PRAN view’ and SoT view. These options are to view your e-PRAN card and to view Statement of Transaction respectively. You can provide your grievance details in the online form and submit it. You can also track your grievance status online. Continue reading : ‘Atal Pension Yojana (APY) Scheme : Details, Features & FAQs‘. My name is Kanta Tanwer and my PRAN No. is 500261412701 but I have not received the Atal Pension Yojana Card yet,send me statement also. 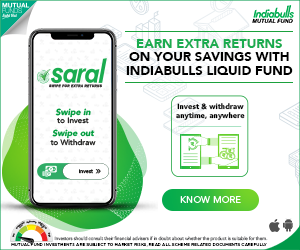 How to transfer Swawalamban NPS Lite account to APY? Swawalamban account transferred to SBI Pension Fund Pvt Ltd and don’t know where to deposit subscriptions as online not available. Will the transfer of account to APY will be done at Bank Branch where I have an account? I am not sure if such provision (transfer from NPS lite to APY) is possible. You may kindly check with your banker. Please tellme that, i registered for Apy on 02.05.18 for pension amount 5000rs and slected half yearly premium option to be given amd select standing instruction date 5 of the month, but amount was deducted firstly frim my account on 03.05.18 as I registered frst tine thats okk, but amount still doesn’t showing in Sot. Dear Sahil ..Kindly wait for few days, else you may contact your banker..
Can u guide me if I want to close the apy a/C in between then can I get back the balance money. And what is the procedure for it. The subscriber shall only be refunded the contributions made by him/her to APY, along with the net actual interest earned on his contributions (after deducting the account maintenance charges). Kindly go through this article ..
You may kindly contact your banker and can apply for closure of APY account. In case, you are unable to get your PRAN details (or) for any other queries related to APY Scheme, you may submit grievance online as given in the above article. I am changing my apy installment. I am not able to download the apy statement from the site mentioned. It’s showing a error page. How do I do it. Note: I don’t have a pran no. Dear Jyoti..You may kindly try it through NSDL portal..
Sir I am changing the mobile no. But it is not change. Previous SIM card lost. I send the request online and offline. I am also send S2 form. Thank you. Now i can able to download the APY statement. My APY started in 2015. But i havent yet received any pran card or document for it. Though amt is being deducted regularly from my a/c. Am also not receiving any msg, email, OTP on my mob no. As some totaly incorrect no. and email id has been entered in my details! My Otp is being sent to somebody else. -Bank said they dont have any option to modify details. -Nsdl head office, when contacted by bank, said they cant do anything. -Grevience link not working as well. Grievance link is working for me. You may kindly try from a different browser. Your banker has to update the mobile number. Kindly refer to this circular..
Dear Anita..Suggest you to kindly submit your grievance online..click here..
Atal Penshion Yojana No not received up to……. i donot get any periodic statements from bank for my APY. what shsould i do? Thnks a lot ! Beacuse of you I found one big mistake in my APY statement . Please help me to update it . Dear Tanusree .. I think you may to contact your Bank/NSDL/CRA to get this updated. Kindly go through this circular from PFRDA.. Thanks for ur post sir .. really useful ..
how to register i pin ? Dear Venkatesh ..You may submit your grievance online @ ..click here..
Today I received sms from NSDL as follows “As a regulatory requirement, submit FATCA self-certification for your PRAN to CRA, else account will be frozen. For more details, visit http://www.npscra.nsdl.co.in“. What is this? Do you have any idea? Can you explain this? This is a compliance requirement, do complete it asap. 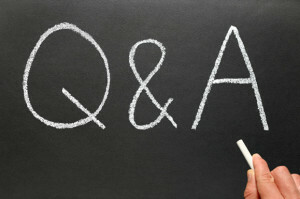 Kindly read : What is FATCA? More information is also available at NSDL link, click here..